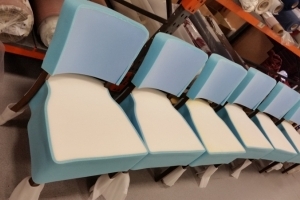 When you're producing furniture, you'll want to ensure that you're getting consistency across your product range. Whether you're manufacturing bar stools, mattresses or settees, you will expect that the foam is precision cut and accurate. Aerofoam can help you accomplish that with our CNC Cut Foam. You'll benefit from our state-of-the-art technology cutting foam to your precise specifications. 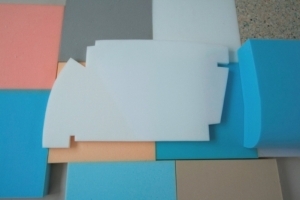 Why should you choose our foam cutting service? Aerofoam understands that you need versatility in the foam that is used for your furniture. With our CNC cutting machines, we can produce foam in a variety of shapes and sizes for your convenience. You can choose from circular, bull nosed, rounded edge, rectangular and many other shapes that you need on a large scale. Why not give your furniture the ultimate cushioning by taking a look at our other products including feather wrap and fibrewrap cushions?